In modern society, water supply plants play an important role in providing daily and clean water to citizens. Essentially, a water-supply system can be divided into three sections: purification, transmission and consumption. The purification of untreated water ensures the water is safe for a variety of purposes. Distribution reservoirs, often built on top of mountains or in the woods, supplement the water transmission system during peak demands and last are the pipes which deliver the water. Based on this architecture, the traditional operation of a water supply plant consumed a lot of manpower and resources, because the water treatment process needs an extremely accurate dosing control and the outside apparatuses have to be constantly monitored. Therefore, a total solution with advanced technology and robust equipment to control the treatment process and remotely monitor the situations of devices has become an essential measure of water plant management. The Gongliao water treatment plant is located in the northeast corner of Taiwan and mainly supplies water to Keelung. Its untreated water comes from the river which must go through a series of water treatment processes to make sure it is clean. But there are uncertain conditions that may change the amount of chemicals required e.g. additional rainfall, thereby requiring that the plant has a precise dose-controlled system. Meanwhile, the hardware devices have to withstand the severe operating conditions for this purification steps due to a 24-hour operation. Secondly, the distribution reservoirs are constructed on a hill which is not only difficult to supply power to but also has a wiring problem. Therefore, the plant wanted to adopt a wireless system to monitor thewater level of the reservoirs and use solar panels to resolve the power shortage issue consequently the monitoring devices have to have a GPRS connection and consume little power to meet the water plant’s needs. As for the pipelines, the most dangerous thing is the pipes bursting because of high pressure. Therefore, the control center needs to collect the pressure data to ensure the pipes remain in optimum condition. In addition, such monitoring systems will be placed in outdoor cabinets which may cause a temperature issue so hardware products have to meet the tough environmental requirements as well. Regarding this case, Advantech provided a total solution with distributed architecture to meet the purposes of stable operations. There are three major systems to monitor and control the water supply procedure: dose-control system, reservoir water-level monitoring system, and pipeline monitoring system. The first system is for dose control. 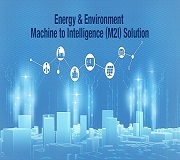 Advantech provided the APAX-5520KW to connect to various I/O modules via Ethernet to control the dosages which enable engineers to fully master the system’s conditions. As for the IO modules, an APAX-5017 monitors the dose tank level; an APAX-5028 controls a dosing pump; an APAX-5040 and APAX-5046 are individually responsible for the digital signals (input and output) of the pump status, and an ADAM-4117 is used to acquire the untreated water flow rate data. After that, the flow rate can be converted into accumulative amount, which can be stored for future use. The second system is for distribution reservoirs. 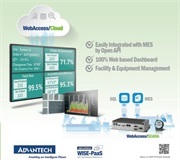 By using the robust ADAM-4117 analog input module - with Advantech’s EKI-1322 GPRS serial device server, ADAM-4572 gateway, and EKI-7626C switch to acquire the water level, this solution not only transmits the instant data to control center in the water supply plant, but also eliminates the wiring problem and power shortage issues because those Advantech’s wireless products are low power usage. Meanwhile, another APAX-5520KW in the plant can control water inflow. When the reservoirs’ water-level is too high, the controller will shut down the pump that delivers water to tanks. The pipeline management is the third system which includes an APAX-5520KW and APAX-5017 to collect pressure data as well as using an APAX-5040 to detect the cabinet’s door status to ensure the door is closed and the devices are working properly. In accordance with Taiwan’shot and humid sub-tropical climate, Advantech’s products support wide operating temperature range (-10~60°C) and relative humidity between 5~95% to guarantee a steady operation when used outside. As the saying goes, the right approach saves effort and leads to better results. With Advantech’s total solution, the water supply plant successfully implemented an efficient solution with stable operation to manage its water supply process. 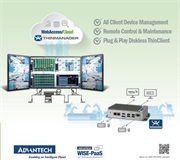 From the dosing control system to the wireless application, Advantech’s products not only fit its requirements, but won the customer’s trust. Additionally, unlike the centralized network structure, Advantech’s solution can provide more stability. 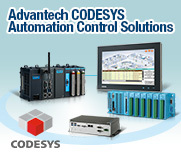 Any subsystem failure won’t affect others because Advantech offers the distributed architecture to ensure continuity of operation in such abnormal event. 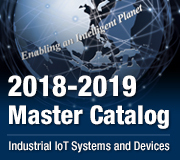 Furthermore, all of Advantech’s products have the low-power feature and support the industrial-grade specification to meet hash environment needs. 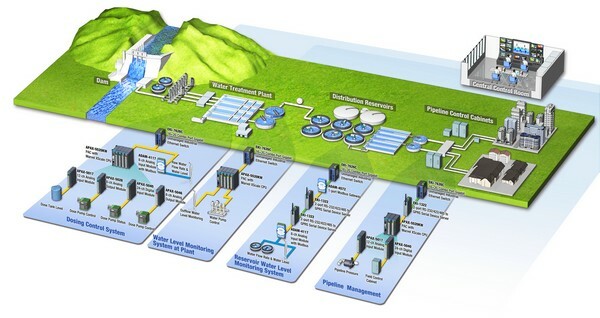 Although the entire water supply system is complicated, the customer no longer needs to worry about the system compatibility as the entire systems products are provided by Advantech to ensure the best performance. Certainly, the plant saves a lot of manpower and resources through this total solution.